In Small Things Remembered » Peace Corps medical partnerships. 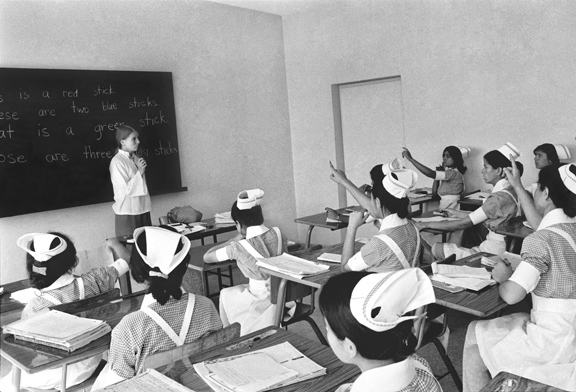 Auxiliary Nurses and Midwives School. 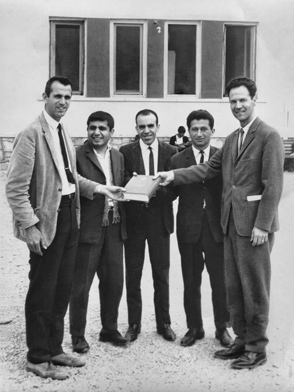 In addition to school teaching, vocational training, and agricultural development, the Peace Corps was involved in medical initiatives in Afghanistan. These included vaccinating people in rural areas, improving English skills among doctors and nurses, and assisting in the publication of medical textbooks in local languages. Courtesy of Walter P. Blass. Courtesy of the National Archives Still Picture Unit. 490-FCS-360-AC-537-3-14a.